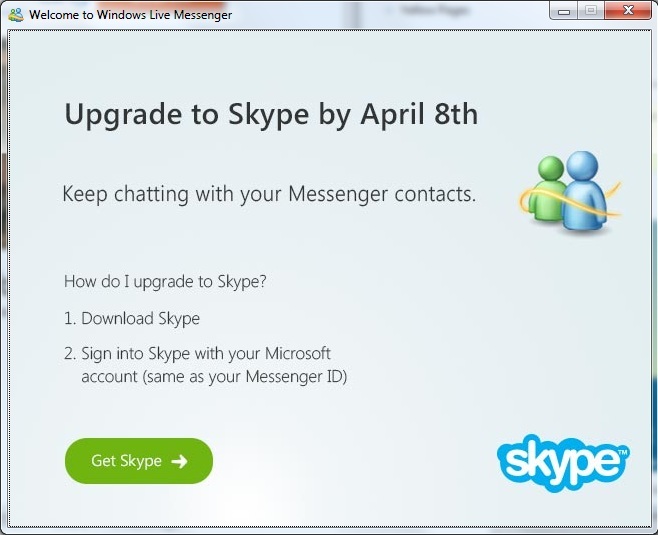 If you were born in the 80’s you must have spent a considerable period of your time chatting with your friends on ICQ and IRC before you moved to Microsoft platform MSN Windows Messenger which then became Windows Live Messenger. You didn’t move because you don’t like ICQ but you moved because one day all your friends move to the Messenger! Today we can officially say RIP Windows Messenger! Microsoft officially killing Messenger and replacing it with Skype, or you can also use Facebook chat if you prefer not to use Skype!